Q. Am I eligible to attend the ISS? (ii) a secured admission into or enrolment in a higher education programme - undergraduate or postgraduate - or a technical/vocational programme. Working professionals are also more than welcome to come and attend the ISS. The program is open to individuals of all nationalities and Indian nationals are also encouraged to apply. Q. How will the ISS facilitate the transfer of credits I earn? A. The ISS will award credits to students who successfully complete the program. From our 2015 session onwards, students from the University of California and other institutions with which the ISS has formal arrangements/MOUs in place will have their credits earned from ISS automatically transferred back to their home institution. However, notwithstanding these formal arrangements/MOUs, it will be the responsibility of students who wish to attend the ISS to ensure that their home university recognizes the credits awarded by the ISS. Also, students who wish to attend the ISS from universities and institutions that do not have any formalized relationship with the ISS will have to clear their modules with the relevant competent authority at their own end and are advised to do so before the start of the program. On its part, the ISS will ensure the provision of all information that may help its students in this process. Q. Do I require an Indian visa? A. If you are a foreign national, you will require an Indian Student Visa to attend the program. Please apply for the visa from your nearest Indian Embassy, High Commission or Consulate (or an agency to which visa processing has been outsourced) as soon as possible only upon official confirmation of your admission into the ISS. The ISS will ensure the provision of relevant documents that may help in the visa application process. A. The ISS follows a two-stage online application process. For more information, please proceed to the Apply page. Please note that due to the large volumes of applications that the ISS receives, it will be unable to provide individual feedback to unsuccessful applicants. Also, the ISS at its sole discretion reserves the right to accept or reject any or all the applications without assigning any reasons for the same. Q. Are there scholarships available? A. Yes, partial ones. For more information, please proceed to the Dates, Fees & Scholarships page. A. Yes. Travel insurance is mandatory for persons traveling to India to attend the ISS regardless of their nationality. Proof of travel insurance must be shared with the ISS in order to complete the admission process. It is also mandatory for Indian nationals who are residing in India to provide a proof of medical insurance in order to complete their admission process. Q. What are the program dates for the 2019 session? Q. Can I only come for part of the program? A. The first four weeks of the program is mandatory but the final two weeks are optional, subject to certain conditions such as arrangements between ISS and partner institutions such as the University of California. Q. Can I join the program late or leave early? A. A 75% attendance in classes must be registered in order to receive credits during the four-week academic session, subject to the evaluation of coursework. If you are able to achieve this minimum percentage of attendance and have successfully submitted all your coursework for assessment before the submission deadlines, the ISS may consider a slightly late arrival or early departure. However, the ISS must be informed of this in advance. For those participating in the two-week volunteer and service learning experience, full attendance is required throughout the period. A. During the four-week academic session, students will be staying at Hotel Samrat which is a short walk from Teen Murti House on a triple-sharing basis (ensuite) with persons of the same gender. The rooms will be air-conditioned and will be allocated as you arrive in New Delhi. Upon arrival, students can swap rooms/beds so as to share with friends but only after informing the ISS of this change. During the optional, two-week Service Learning experience, students will be traveling quite regularly and will be staying in multiple guest houses and hotels on a twin- or triple-sharing basis with a person(s) of the same gender. Q. What meals will I be served? A. Those who apply to stay at Hotel Samrat will be served breakfast on a daily basis and lunch on all weekdays during the first four weeks. All students will be provided lunch on tour days and special meals such as the Welcome Dinner, the Farewell and others deemed as such by the ISS. All meals (breakfast, lunch and dinner) will be provided to those participating in the Service Learning component of the program. The ISS places great importance on healthy eating while trying to provide for all types of meal preferences. 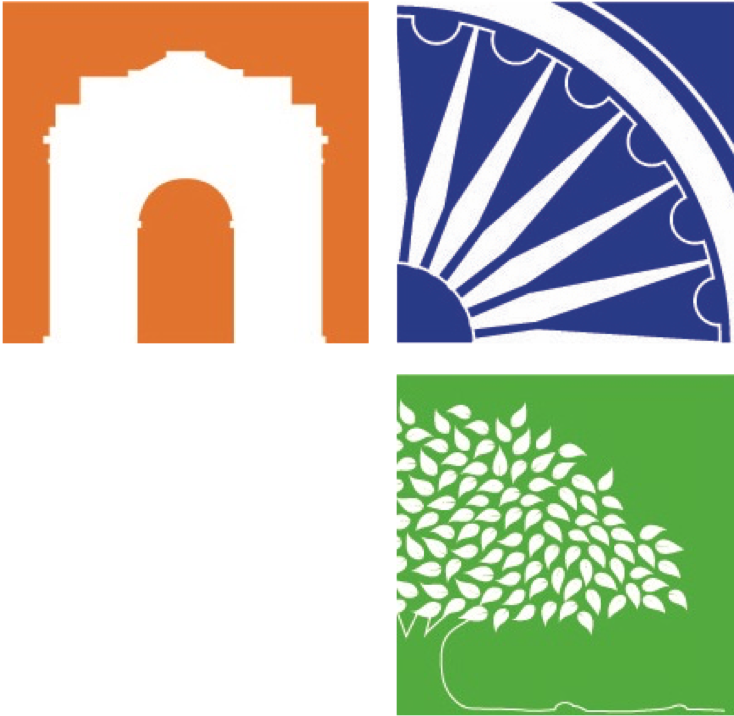 Students are encouraged to indicate whether they are vegetarian or non-vegetarian and if they have any food allergies prior to their arrival in New Delhi. Q. Can I arrange for my own accommodation? A. Students can stay off-campus at their own cost during the four-week academic session. This will have to be arranged by themselves and any meals eaten by them on-campus will have to be paid for separately. For the two-week Service Learning experience, students it is mandatory for students to stay in the accommodation arranged for by the ISS. Q. How will I be commuting? A. Air-conditioned transportation will be arranged for ISS students for their travel as per the ISS program itinerary. For personal travel & conveyance beyond the program itinerary, students will have to arrange and cover the cost for their own transport. More information on this will be available in the Student Handbook for successful applicants. Q. What will the weather in New Delhi be like? A. The ISS is scheduled to be held towards the end of the summer and beginning of monsoons. It is likely to be hot and dry during the first couple of weeks and humid & rainy during the last few weeks. All arrangements have been made to make the students’ stay as comfortable as possible. The lecture rooms, accommodation and conveyance will all be air-conditioned. Q. How safe is New Delhi, in general and the Teen Murti House & International Youth Centre campus, in particular? A. Student safety is the highest priority for the ISS. The campus at Teen Murti House and the premises at Hotel Samrat is highly protected with personnel deployed for the security of students and teachers. New Delhi is also fairly secure since it is India’s national capital and an ever increasing police force is present across the city. For travel & conveyance which is part of the ISS programme itinerary, the ISS has arranged for security and safe transportation for the exclusive use of its students. While the ISS encourages its students to explore the city at their own time and convenience, they should, however, take precautions while traveling beyond the scheduled ISS programme itinerary. Further information on the ‘Dos & Don’ts’ will be available in the Student Handbook for successful applicants. ISS Program Officers will also be around to advise & assist students on matters pertaining to safety & security. Q. What does a typical day at the ISS look like? A. To get a better sense of the overall program structure, please have a look at the schedules from our past three sessions which were held during the summers of 2016, 2017 and 2018.